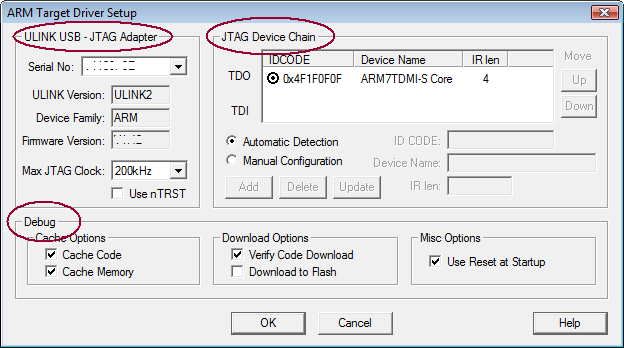 This section describes the debug drive configuration for connecting to the debugging unit of the target hardware. Open the dialog Options for Target - Debug. Set Use: and select ULINK2/ME Cortex Debugger from the drop-down list.